Eric “Nexis” Garris grew up in the Washington D.C. metro area.”Being raised by my grandparents and my aunt gave me a vast range of musical influence early on”. “My style captures the intensity of the streets, and directly identifies with the impulsive logic of todays youth. I pride myself on making socially conscious yet disturbingly controversial music that moves people”. 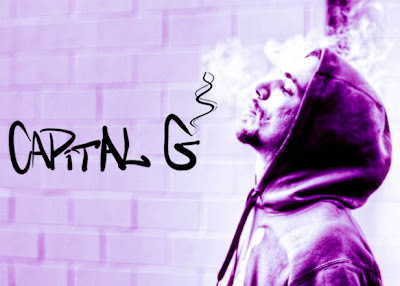 Steph Castrø - "Suffer 2 Stunt"
- Gerard, better known by his stage name Capital G, is a hip-hop artist from Northern VA who has been flaunting an energetic, fun filled, attention demanding hip-hop presence. In 2008 he moved to Orlando FL to pursue his passion for music and worked day and night developing his sound. After spending two years in Orlando, G retuned to the DMV with a new focus on making a name for himself in the music industry. Capital G made his debut with the release of his mix-tape, “The Fax,” which generated over 1,000 Internet downloads and was well received by the local hip hop community. 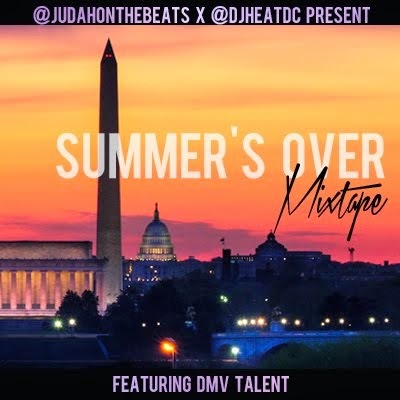 He then started taking part in recording sessions and ciphers with some of the most recognizable names in the DMV hip hop scene. In the summer of 2010, his performances at "Icons" in the City of Fairfax started to grow his underground buzz leading up to a prolific year in 2011, during which he opened up shows for the likes of Wale, Nas, Jeremih and Juelz Santana. @winktracks - "VIEWS FROM THE DISTRICT"
NOAH-O + Dj Mentos "64E"
With eclectic beats, soulful hooks and bouncy beats, 20NVR will unleash their debut project on November 8th 2016. The group of high school friends, consisting of Kassim, Baptizeee, Hasani, Fayson & D.Keyz, come together for a 20 minute mixtape consisting of each artist's unique talents. With early comparisons to De La Soul, Pro Era, & Tribe Called Quest, 20NVR is looking to make serious head way moving into the fourth quarter of the year. Each artists has made individual stabs at the industry with their solo projects, but this is the first project with them as a collective. With sold out performances at the Kennedy Center & 9:30 Club, 20NVR has captivated crowds all up and down the east coast. With a full line of merchandise also dropping at the bottom of the year & a major sponsorship and tour to be announced at the top of 2017, it is evident that 20NVR has no problem carrying Maryland on their back. Baltimore native Damond Blue, who is an R&B and Hip Hop artist is back with another HIT single titled "Sunrise"! ​Produced by Javar Rockamore, ​s ampling the hit 90's Hip Hop "​Hip Hop Hooray​ " by Naughty by Nature, and mixed with reggae tunes "Sunrise" will definitely provide some sunshine (and make you yern for those summer nights) during these cold fall nights that are starting to breeze through on some of the coasts. Something for the ladies, Damond wanted to remind them how important they are as he sings "Baby girl your beautiful. Yea, the sun rises for you". On his third independent release, Shyne On Me leads a soulful journey through the inner- city streets of Washington, DC. The witty wordplay and soulful melodies that make up "Soul Of The City 2" give the listener a "best of both worlds" experience! With Gospel and Neo- Soul influences, Shyne On Me breaks open Hip- Hop's barriers and welcomes a diverse audience of music lovers. Baltimore artist, Jacob Weche releases a new song entitled "Missed Calls From LA". The track features smooth production from New Yorker, Jason Bass, and serves as an update on his life in his city. Listen & Share. Backed by some bouncy production from fellow DMV native Dejuan Crooks, Maryland's 20NVR makes their musical debut with the release of "Get Ready." Taken off their forthcoming NVR EP, the single showcases the groups diversity and ability to compliment each other flawlessly. Stream "Get Ready" below and look out for more content from the 5-man collective to drop soon. Over the summer, Mannywellz solidified himself as an artist to watch with his well received single "Gotta Know." Since it's release, the song has caused the rising multi-artist to gain notable nods from top tier publications, label interests, and amassed over 100K+stream on Soundcloud. To celebrate the self-produced buzz record's success, the Nigerian creative decided to release a soulful rendition of Drake's "Controlla." 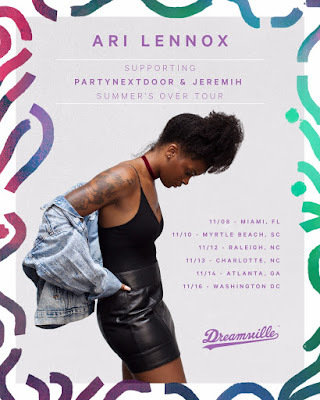 @epicmindof_lo - "How High EP"
Washington D.C. native and recent Dreamville/Interscope signee, Ari Lennox, will release her highly anticipated EP, PHO, Friday, October 21st. The only female in her crew and the only vocalist, Lennox has much to prove and sets out to do just that with her whimsical new offering. “Sometimes women are put in this box where we’re only supposed to talk about certain things,” the 25-year-old singer-songwriter explains. “I want to be braver and riskier. I think people want to hear that kind of honesty and frankness.” Inspired by some of the greatest female vocalists of all time: Ella Fitzgerald, Billie Holiday, Minnie Riperton and Whitney Houston, Lennox modestly describes her own voice as “vulnerable and soulful; imperfect but pretty.” The blossoming, young talent does not hold back on the lead single “Backseat” featuring labelmate, Cozz, where she playfully shifts the romantic gears in a relationship to get what she wants physically. “While the music is soulful,” asserts Lennox, “I’m also talking about something suggestive and unusual for a female.” Produced mostly by DJ Grumble, who delivered “Backseat,” with additional production from Fellt and Hollywood JB, Ari Lennox says the project sounds like, “Modern, relaxed, turned up soul… It’s just chill with trappy vibes reminiscent of the beautiful music from the ‘70s.” PHO will be released digitally everywhere next Friday on Dreamville/Interscope Records. Big Hazzard - "Soon They'll Understand" (Official Video) from HAZZARD TV on Vimeo. @ullnevanohiphop x @illien - "CIE2"
Following the release of his critically acclaimed 'With Great Care' series, Yusha Assad returns with his brand new single "Circus." Produced by KC (Drake, Lil Wayne, Gucci Mane, Young Greatness etc.) the record cleverly addresses the hard hitting topics of drug abuse and negative role models praised by the media. 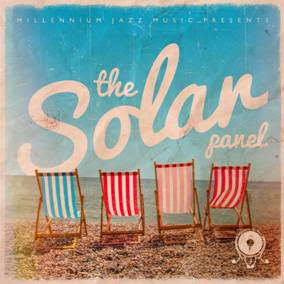 Just to let you know that Millennium Jazz Music has released 'The Solar Panel', our biggest in-house project since 'The Gathering' LP in 2011. We wanted to release an album with a summer theme and we were so overwhelmed by the amount of submissions and the quality of the tracks that we decided to release it as a cassette next to the already planned digital format. We hope that this release will make the listener reminisce of past sunny days and be a soundtrack to sunny moments to come. Michael Sneed's Lullaby for the "Children of the Ghetto"
@2ficmusic - "Tryna Make It"
Buzzing independent Washington, DC hip hop artist, Lightshow, continues to improve over time. With the highly anticipated release of the third installment of the “Life Sentence” series on August 26th, Lightshow once again made an impactful buzz in the hip hop community. 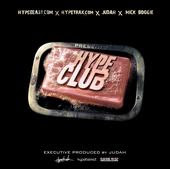 The album features XXL Freshman Class 2016’s 21 Savage as well as A$AP MOB’s A$AP Ant and production by up and coming producers Yung Lan and Chris Beats. Within 24 hours of its release, the album ranked #7 on iTunes’ hip hop chart, going head to head with other notable favorites, DJ Khaled and Vince Staples. Less than one week after its release, the project continues to garner great reviews from fans and hip hop critics. In this “Life Sentence 3” album, Lightshow tells stories about life experiences that readily identify with his listeners and others. There is a signature richness and power to the music that has this generation of hip hop fans discovering his qualities and reputation as an artist and a songwriter. This album represents the honest best of what hip hop can be and portrayed through the eyes of this rising young talent. It is unpretentious and, perhaps most of all, it is distinctly a testament to the struggles, hopes and aspirations of our generation and particularly that of young black men in America. The songs are about finding a way through a world that has become increasingly complex, challenging and at times even dangerous. The cover art for the album is a further reflection of the meaningful lyrics in each song and of the overall Life Sentence message. The visual features two versions of the young artist - one as a prosecutor pleading a case and the other as a defendant in an orange jumpsuit – representing what could have been his “life sentence” in two different scenarios. The rest of the visual elements speak volumes as it echoes the social climate today. A documentary was also made available online following the album’s release describing the historical context and showcasing the genius behind Lightshow. Check it out here. If that’s not enough, get your chance to see Lightshow perform live on stage this coming Friday, September 2nd at the historical Howard Theater, in Washington DC. Tickets are on sale now. Northern Virginia's Parkway liberated his debut single “Hold Up" back in May. Today, the DMV native unloads “Selfish,” the second single off his yet to be titled EP. Production duties for the airy cut were handled by Nikko Bunkin & D March, while Flash Frequency can be credited for the songs abstract art direction. Baltimore rapper and producer Ralph V (@RalphVco) releases his third official mixtape, "DOG DAYS". The project is produced entirely by the rapper himself with the exception of a track produced by Nickelus Tesla (@NickelusTesla). The project is full of witty bars and storytelling, as well as songs for the club, songs for your girl, and songs you can play in your car. Maryland based hip-hop recording artist Nimbus just dropped off his newest single, & it comes packaged in a 8oz bottle "Dasani". Produced by New Jersey native, @DreRodner "Dasani" is an ambient ballad with hard hitting drums and obscure melodies. The single gets here just in time for the close of the Summer. @Jay_Wyse - "Never Looked Better"
@KBTheGeneral - "She Don't Smoke"
@Jay_Wyse - "What You Mean"
East Coast Hip Hop Music Lovers: it’s time to “Rep Your City” for the ULTIMATE interactive call-to-action. Fans who want to show their pride by rallying around their favorite artists can do so beginning on Monday, August 1 in a Fuse social throw down. 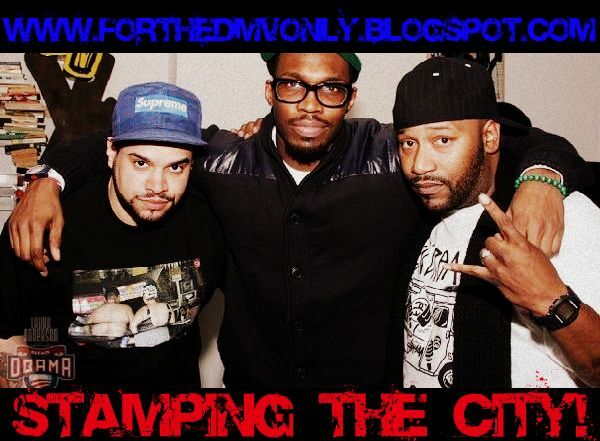 Beginning that day, visit fuse.tv to vote in the “Rep Your City: East Coast Battle” event. Make your voice heard by choosing your favorite music artists located in Brooklyn, Atlanta or the DMV (D.C., Maryland and Virginia). Will it be Fabolous? Jay-Z for BK? Future or Young Thug for the ATL? Who’s repping the DMV - Wale or Missy Elliott? YOU get to decide, then tune in to Fuse to see who rules on Monday, August 22, 3-6PM ET/PT for a three-hour video block revealing who will wear the east coast crown. And, don’t forget to get your voice heard on social. Tell Fuse how the sound of your hometown influences hip hop on Facebook, Instagram and Twitter with #RepYourCity and your comments may air when the winner of the battle is revealed on the Fuse “Rep Your City: East Coast Battle” countdown August 22! Super Nike Nando - "Never Gonn Stop"
Virginia artist, Ms Proper, has released the official video for her Summer single "Mode". The video features the Richmond artist in front of various lively pieces, from LA's Art District, which seem to coincide with the vibe of the record perfectly. The essence of the record promotes a place of self-awareness as Ms Proper recognizes there are no limits to which she cannot reach. The release of "Mode" comes at an essential time as Ms Proper has secured distribution with Carter House Music, making this the artist's first Vevo release. "Mode" is available for streaming and purchase on all major music platforms. From South Richmond Va, Fuggin Doe is back with a hot new release for the Summer entitled "Funk" produced by Reppa Ton. With so many styles being labeled in 2016 it's safe to assume Doe will be bringing his own brand of Funk to our airwaves. Doe has been red hot this year and Funk is no different as this is the next installment of music off his upcoming release "The Alaskan ThunderFuck Project" dropping this year! Over the years Virginia independent artist Bucky Malone has proven to the world that he's a work horse releasing numerous full length projects with music videos to match. In 2016 alone Bucky has released his successful The Time is 7:03 mixtape hosted by DJ Slim K of The Chopstars along with several videos. After releasing his animated music video for his single Wi$hlist, Malone is back with his latest project entitled "Orange Line $hawty". Orange Line $hawty will open listeners eyes and ears as Malone goes into music journey inspired by situations he has encountered growing up in the DMV area. Featuring the ICYTWAT produced single Wi$hlist, along with 2 Tall Produced anthem Round The Way, Malone displays strong charasmatic lyrics along with infectious hooks. This brand new mixtape can easily be listed as one of Malone's most prolific releases yet. "The Orange Line $hawty title came from me just riding the Orange metro line back and forth throughout Virginia, DC, and Maryland all my life. Being from the DMV area, the smallest things from the metro, to the carryouts are inspiring because they're different from anywhere else. I've seen the craziest things just riding on the metro as a kid and now as a young adult so I wanted to paint the picture for everyone who is from the DMV and give them something to relate to." Malone said as he was asked what inspired the title and the overall theme of this project. Back with a vengeance Bucky Malone makes sure he lets the world know that he's not just another local rapper on his new 10 track mixtape, Orange Line $hawty. Maryland based hip-hop recording artist Nimbus, who recently relocated to New York has finally let loose his newest single "hey big head". Produced by California native, @wrrybeats of the TrustCo collective "hey big head" is a track infused with hip-hop & EDM elements, the ideal Summertime bounce for your playlist. DMV Rapper Hunnit Hobbes returns with a new track titled VANDALS. Featuring Richmond rapper Nickelus F. Production credits are headlined by young phenom producer Madbliss who hails from California. This East coast connection is filled with hard hitting 808s and multiple flows. Southern Black Male Saga from AuthentiCore on Vimeo. It doesn't happen overnight and it is not an easy road to take but becoming a superstar in the music industry is the goal for many. That goal seems pretty promising for music producer/songwriter/music artist Dockko. Having just released his debut mix-tape "Workin My Mix" about a month ago with a great response leading up to his debut single "One Night" which was just released this week which has a lot of people talking! The buzz about Dockko is going to do nothing but increase as he becomes more popular and gets exposure through many media outlets with his first original release distributed worldwide and through major distribution being promoted through his current marketing campaign having goals of pushing him forefront into mainstream. This is a journey that many people take but only the strong survive and Dockko is a survivor. Some would call him a creative genius while others would call him an inspirational mentor and trailblazer. There are not too many artists who have all of the characteristics and factors that it takes to be successful in the music industry but Dockko is definitely one! When anyone hears a beat produced by Dockko it becomes undeniable that he has a very unique ear for music but when Dockko utilizes all of his talents and engineers his own vocals onto those tracks he transcends music to where true music lovers who know good music can appreciate it. Dockko is a humble yet conscious minded artist with a unique personality and style with a constantly growing fan-base. He is a pioneer for consciousness and has an earthy tone to his individuality. Dockko brings an eclectic yet eccentric style that adds to his persona that when combined with his lyricism and word play makes him able to compete with some of the best within the industry. Dockko has a sound that is unlike anything that you've heard before but if he had to be compared to artists that are current he would have to be compared to Future, 2 Chainz, Rich Homie Quan, K Camp, YG, Ty Dolla $ign, and Travi$ Scott. Dockko is a Rap/Hip-Hop artist, music producer, and writer out of the DMV area coming to a stage, radio station, magazine, and TV near you after signing to indie-major label Zobe Records! Dockko has been featured on ThisIs50.com, HipHopMagz.com, ClicheMag.com, StreetsTalkin.com, MusicBrackets.com, ExposedVocals.com, MusicImperium.com, along with many others. Having just released his single recently, Dockko has already received radio play with MateRadio.com, AllUnsigned.fm (currently in heavy radio rotation), and MMM Radio in addition to other radio stations. Dockko is ranked #1 locally and regionally on ReverbNation. Dockko is ranked #11 nationally and globally in the genre of Rap/Hip-Hop and still rising. Even with there being millions of music artists in the world Dockko is ranked #324 and rising globally in ALL GENRES of music. Virginia's own Bucky Malone releases animated visual for "Wi$hlist"
Stunna Lorenzana "Latin Going Platinum"
Super Nike Nando - "Nobody But Myself"
@iamkylous DROPS THE “SONGS FOR GIRLS” EP!! [Short Film] JS aka The Best - "Father's Day"
DMV rapper/singer GoldLink has released a remix album for his critically lauded debut full-length And After That, We Didn't Talk. With remixes from Drake collaborator Sevn Thomas, Brasstracks, Gravez, Mr. Carmack, Swell and more (full tracklisting below) the remix album brings an interesting reimagining to the album that producer Rick Rubin described as having "...a new, timeless feeling." The release of the remix album marks what's to be a very busy summer for the future bounce pioneer who will be playing festivals all over the world including Firefly, Lovebox, Osheaga and many more (full dates below). To get an idea on how GoldLink performs on the big stage you can check out his live streaming Bonnaroo performance backed by Brasstracks (who will be on other select dates) on RedBullTV at the link up top starting at 7:00pm EST. Ay-Rock is a producer, songwriter and engineer hailing from Austin, Texas and based out of Maryland. Growing up in a military home, Ay-Rock Moved around a lot which may have helped introduce him to many different styles of music even at a young age. At the age of 9 he began writing as a form of escaping the troubles of reality, expressing his passion and sharing his thoughts with the world. They quickly transformed to the creation of song lyrics. He felt that writing let him get out all his emotions and deal with the obstacles he had to face. As the years passed he began developing his style and creating his flow that can only be classified as versatile. Ay-Rock spent years working on his craft to become a producer as well as an artist, creating many tracks in genres that range from rap, r&b, pop, and rock. Everyone who hears his work always has the same remark; “this is Ready To Go”. Ay-Rock is unlike other artists out there today because he embodies so many different styles of sounds. He may incorporate hard-hitting 808s in one song and then luscious melodies in another, all joining together to create one magical sound. In the future, Ay-Rock hopes to tour the world and leave behind a legacy that can influence people and other musicians for decades to come. Baltimore Native @OTComeUp @MJNBeats Takes Us "Round The City"
With rap acts like Tate Kobang, Young Moose, and King Los at the forefront of Baltimore's ever growing hip hop scene, new comer D. Yelv attempts to join the ranks with the latest leak off his forthcoming 'Cal Ripken' EP. Appropriately entitled 'Round The City,' the early Wiz Khalifa-es cut finds the budding emcee speaking his larger than life aspirations into existence. Serving as the follow up to his well received singles "Homecoming" and the yet to be released projects title track "Cal Ripken," the Summer appropriate smash was produced by mjNichols. Back with an upbeat tune for your listening pleasure, TLNTD presents Fall (Feat. Kiyah Mitchell); track 2 of the 3 track EP entitled "eXpectations" produced entirely by Epidemic. As a part of #TLNTDTuesdays, the artist from DC presents a tune that will quickly become an earworm for anyone who listens. The production by Epidemic is an ethereal yet, energetic continuation into the thoughts of TLNTD. The track dropped on June 7, 2016 and serves as a meditation on the current state of events in the artist’s life. The song encompasses a well-crafted and catchy chorus followed by minute long verse showcasing TLNTD’s adept lyrical ability. The track discusses the often neglected aspects that are a part of the journey to artistic fame. The chorus is sung by first time collaborator, Kiyah Mitchell where he discusses his pride for how far he has gone, getting high, and asking for help if he doesn’t make it. In the verse, TLNTD delves deeper into tese topics, ultimately understanding that the past cannot be changed and the importance of focusing on the future. 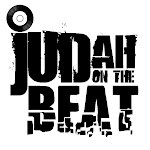 The beat is airy while moving back and forth between an EDM inspired drum track to a half time 808 trap style beat. #TLNTDTuesdays will continue, look out for a new track every Tuesday! VA spitter Bucky Malone gives you another summer anthem dubbed "Round The Way"
OG ILLA (@HLGNLIFE) - "SORRY"
June Da Kid - "Shame On You"
@farroutgroovy - "Spoken Word: the Essence of Life"
Groovy D is a hip-hop artist and poet from the Northeast quadrant of Washington, D.C. that draws on Soul, R&B, Blues, Jazz, and of course Go-Go for his musical inspiration. Groovy D has performed alongside some of the best rappers and poets that D.C. has to offer, commanding the stage with his own unique style of emceeing. He recently released his debut project, "Spoken Word: the Essence of Life", which is receiving exceptional acclaim. Jay Wyse & Dee Dave take on Drake's "Weston Road Flows"
@ScrapDiBiase - "What We Talkin Bout"
The next rapper to come out of the DMV is Produca P, he engineers, mixes, masters, records, makes beats, and writes lyrics. He will give everyone a different perspective of what it is like to live and grind in Washington D.C., and his input on the game is worth listening too. It does not matter what part of the country or world you are living in, you will gain a lot from hearing this geniuses music/artwork. He has collaborated with Artist such as Phil Ade, Yo Gotti, Chief Keef, Tabi Bonney and a few other musicians just to name a few. 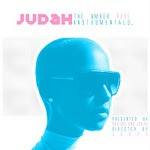 You can find his music on MTV JAMS and album on itunes, all done independently without any help from major labels. In 2016, Produca P will shock the hip hip industry with more new music, features and videos to set his claim to fame.